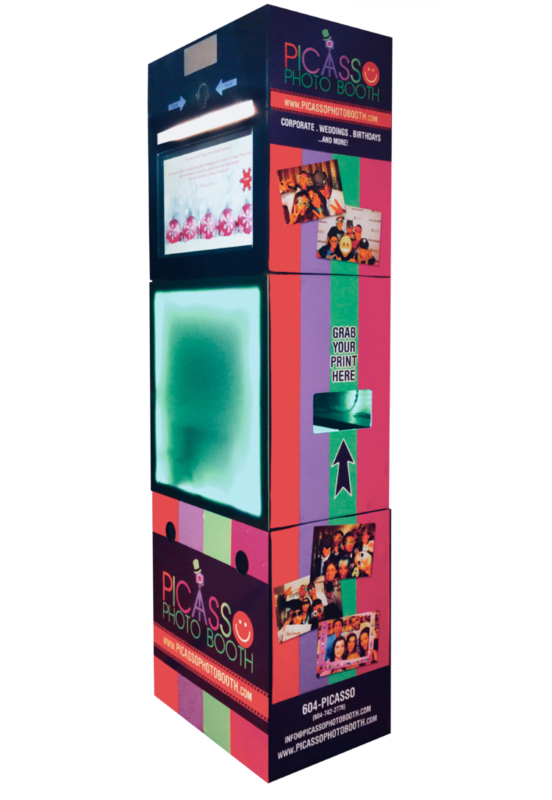 Booth features: 18mp High resolution DSLR Camera, High quality professional photo lab printer which delivers your prints in less than 10 seconds, 20 inch professional grade flat panel, easy to use touch screen monitor, professional lighting, and latest and best photo booth software. 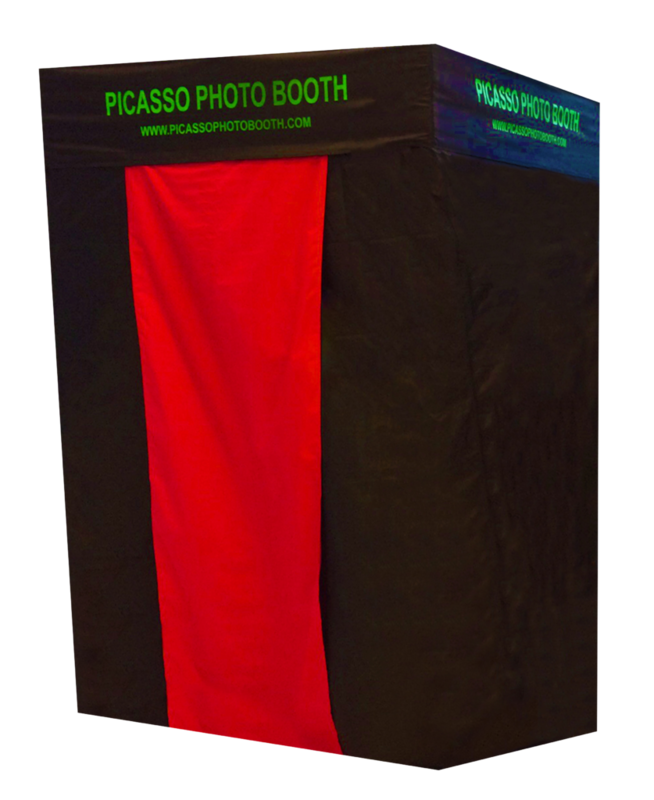 Sleek and modern, our open air Photo Booth is a perfect fit for any event and any venue. For those that want a little privacy, our enclosed booth is 5×5, fits up to 10 people and has all the same features of our open air booth.